The Deluxe range of Galvanized Fixed Rotaries offer the same strength and durability as the Super range with a one piece Helical column. The Deluxe 4 has 6 lines offering 40.4m of line space. Deluxe 4 total packaged weight: 21.1kgs. 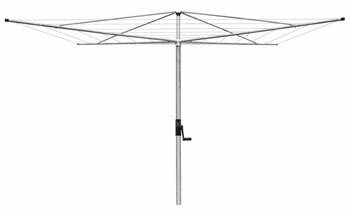 The Deluxe 5 has 6 lines offering 50m of line space. Deluxe 5 total packaged weight: 24kgs.